Child readers are even smarter. You often hear the platitude of not “writing down” to kids, but McKee’s quote, from his book on screenwriting, struck me. Is it true? Do I really get smarter when I walk into a movie theatre? The reason lies in the amazing capacity of the human brain to synthesize information and find patterns. Sometimes that intake of information happens on a subconscious or purely emotional level. We sense danger, but we’re not sure why. A slight change in ambient sound, and we’re running to the bathroom, convinced the toddler’s gotten into the shaving cream again. A small quirk of a man’s smile, and we’re certain that he’s hiding a dark secret. Movies are a tremendous barrage of information, and we are captivated by them, fully immersed in an alternate world for a couple of hours. Images, sounds, dialogue, facial expressions … a thousand bits of information a second, and our brain soaks it up, processes it, and spits back out a pattern, an organized understanding…a story. Books are captivating in a different, but similar, way. The movie plays in our heads, created by the script we read on the page. But it’s even more powerful, because we fill in our own nuances, expressions, motivations. And we can dive into the character’s heads, something movies don’t allow. We KNOW what that character is thinking as he sneaks down the darkened hallway, creeping up on the rusted shut door with the ominous looking key dangling in the lock. Don’t open the door! we shout, because the writer has led us to believe there’s something wicked that way. How do you stay one step ahead of this terribly brilliant person, the reader? Master the craft and form of storytelling. Layer in clues, but not too many. Raise the tension and pace, so they don’t have time to think before the twist is upon them. Make it impossible to predict, but obvious in retrospect. These things are hard, but no one ever said writing was easy. And never, ever assume your reader isn’t smart enough to figure it out. Especially if they are children. 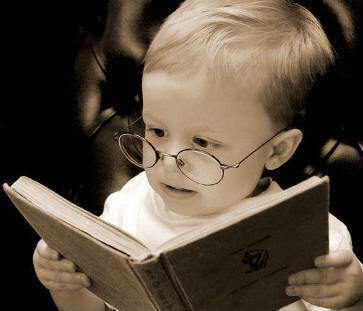 Speaking of smart readers, I have some of the most erudite in the blogosphere! To celebrate reaching my 300th follower mark, I’m hosting a giveaway this week! 2) A twenty page critique of the opening of your WIP by yours truly. Those are TWO separate prizes, so please indicate which one you want to be entered for (or both! Also an option!). 1) Be a follower (this is a follower celebration after all). 2) Tweet if you like, Facebook if you can, but you MUST leave a comment. Else, how will I know you were here? All comments, in any post this week, count! But leave one by 9 am EST Friday, when I will pick and post the winner. Most importantly … THANK YOU to all my delightful followers! You help make this ethereal piece of the blogosphere a writerly home, and I love you for it! Congrats on the followers. Hmm…I'll enter for the 20 page crit. Thanks for offering. For some odd reason monochromatic came to mind. I'll use it, OUT LOUD. lol I Facebooked and tweeted you, too. Such tough choices. I'll go for the book! Congrats on reaching 300 followers. Pretty cool. i love this post! so true! i'm reading a wrinkle in time aloud to my middle son now (i've never read it before!) and it's amazing how my little six-year-old understands everything so vividly! Hmm…I'll take the book! And I'll blog about it this Friday. Is Friday okay? Wait, I just re-read it, Friday's not okay. How about Thursday? K, I'll do Thursday! Great post! Most definitely the audience is sharp, but sometimes I think I take this too far in my attempts not to talk down at my readers, and so sometimes close off elements of the story, making it too vague, too subtle, too insubstantial. There's a place for directness, taken in moderation. And my word of the day is: seawrack – material cast on shore, often seaweed. And book! book! book! Am I even capable of turning down a free book? I think not. @Aspiring I need to re-read Wrinkle in Time! How wonderful you're sharing it with your little one! @Justine Thursday is great! Thanks for the blogger love! 🙂 P.s. I know for a fact my kids are smarter than me. @Bryan Ah, the balance between subtle and clarity – it is SO tricky! I was helping a friend recently with this in a crit – making sure enough is there for the reader to clearly grasp the character's conflict without beating them with a hammer. 🙂 And you get bonus points for a Big Word I didn't know!! Awesome. I'd love to be entered for the 20 page crit. What an awesome contest! Congrats indeed on all your followers. You've got a very intelligent blog here and do a great job of raising the IQ level of your readers. Maintaining the balance between not talking down and yet not getting ahead of your audience is tough, especially when writing for kids. I always have to remember that I'm writing for boys, not grownups, and not get too high-falutin' yet also have to remember that I have advanced readers and grownups, so I can't be too simple either. BTW, I'll start a contest on the Boys Read blog tomorrow and Dark Omen might be interested. Also, I'm taking a class at the local university and will write about the etymology of Percy Jackson's first name. Now THERE'S your big word for the day! *throws confetti* Congrats on the 300 denizens! I'd like to be in the contest for the critique. @Carl Thanks for your sweet words! And etymology = WIN, love that word! I shall check out your contest tommorrow, and alert Dark Omen! @Stina I have no doubt that books grow brain cells. @Lisa LOL You probably attract the sparkly ones with all the supernatural on your site, anyway. I think there's another reason we become more intelligent when we step into a theatre. We perceive more than the information the movie gives us. We feel the room's mood. We can tell when the audience is ill at ease, and it puts us off, too. Would it be possible to delay the critique? I'd love to have it, but there's no sense in giving you the first 20 pages of a first draft. I'd feel like I'm wasting your time! @Claudie Crits don't come with a time limit – more they should be used how works best for you. So you're in on that! 🙂 And I like your observation about the audience mood – definitely true how that can heighten the tension or awareness of the scene! This is a great post! I always think it's so important to leave "space" in writing for the reader to think and process what's happening. Congrats on reaching 300 followers – and thanks for the contest. Congrats! Are you doing the happy dance? I will be if I win the free book. 🙂 Sign me up. @Andrea I like the idea of "space" – sort of like the white space in poetry that helps to shape the words! Nice. Great contest, Susan. Congrats on the followers and your super blog. It's such a joyful place. thanks for the extraordinary contest! I love the picture, it reminds me of my oldest son when he was very young. He would take a book to bed with him and we would have to go in later and slide it out from his grasp after he had went to sleep. I would love to win the critique. Congratulations on all your followers. @Janet The little book-lovers are so cute! 🙂 Thanks for entering! Wow, 300 followers! That's great. And what an awesome contest. Hmm, I can't decide which prize is better. Hmm, I guess I'll go for the book. I'll let my critique group tackle my manuscript. As for using big words, I'm an English major and use them all the time. My almost-four-year-old talks like she's thirty because she's picked up on more than a few of them. It's fun to watch people's faces when they talk to her for the first time! You didn't mention leaving emails, but here's mine just in case: khashway (at) hotmail (dot) com. A 20 page critique would be great. As far as the subtle and not so subtle differences between films and books, one is a more visual, plot-driven extravaganza, and the other, a more personal, internalized journey. Um, okay, I've used a few big words, teacher! No, really, when I meditate on my novel's scenes and plot points, it unfolds as a film. The two are very connected for me. @Kelly I love how kids pick up word from their parents! Well, at least the good ones … LOL! As I finish up working on my book that's definitely way too difficult for grownups, I'm looking forward to a little more recreational reading time – sign me up for the free book. And at the dinner table I used the word precipitate, not to mean what clouds do but to mean something that brings on an event. My daughter nearly died laughing because she thought at first I was talking about rain. Susan, a very tantilizing offer. How about you decide? Either prize would be wonderful! Reaching 300 followers takes a lot of work and dedication. Congratulations on your great success! I'd love a 20-page critique. I've tweeted this and will copy the link to Facebook. I'd love a critique. I learned a new word this week–hamartia. It means tragic flaw. @Jonene Thanks for stopping by!! @moonlight Thanks for spreading the word!! I'm stealing a word from a great movie – today my kids will learn what "inception" means! I love this word! It explains how I can be just writing innocently along in my WIP, and suddenly a new idea pops in there, and I'm like – what? – and then – that's so COOL! Did I think of that? Also, your post reminded me of Across the Universe, which I just finished reading, and WOW! the layers and layers of subtle clue-dropping and plot manipulation. So impressed! @PK Thanks for the tweet! Yay, 300! I always read TUCK EVERLASTING to my 5th grade class. You haven't lived until you've had a grand conversation about immortality with a room of ten year olds. They are wise beyond their years and deserve a lot more intellectual credit than they are often given. The photo of the boy reading the book is mine and that is my son. Please either give credit to me as the photographer and my son Braxton or take down the photo. Thank you. Do you have a link where I can give credit?